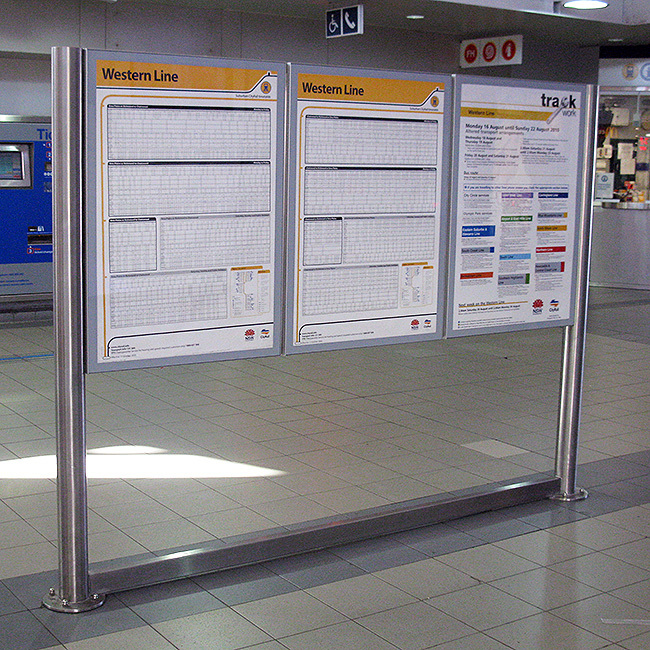 Flat Timetable Route Information Display Cases are available in a range of standard sizes and can be made to custom sizes if required. 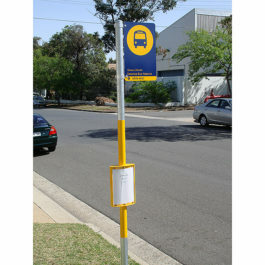 They can be mounted to a flat surface or onto a frame for freestanding applications. 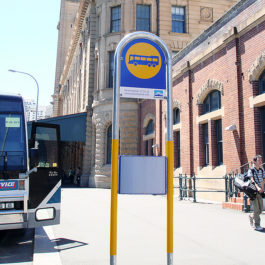 The MD6 Keyless Secure Poster is used by RailCorp throughout railway stations across NSW and referred to as RailCorp Information Displays (portrait 750mm x 1050mm). 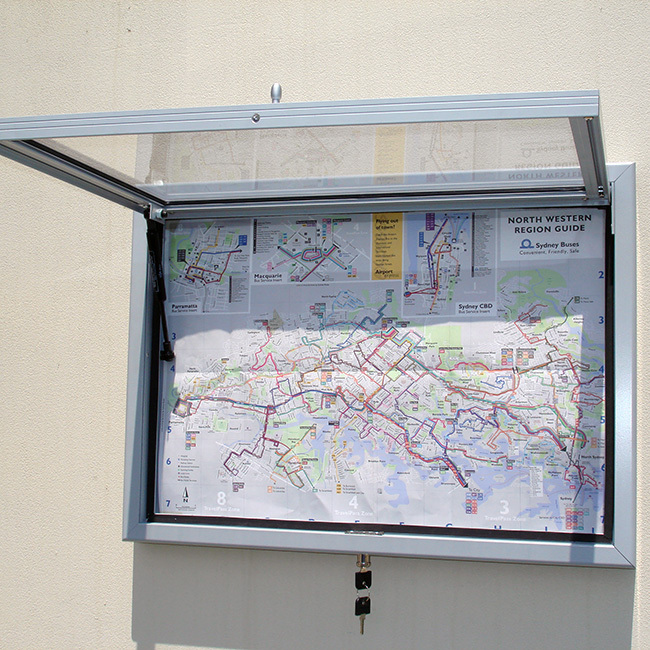 They have no visible fasteners and the display covers are securely held in place by a concealed retaining system. The HD1 Vandal Resistant is a fully featured display case built for demanding applications. It features a key lockable, stainless steel hinged door supported by two gas struts. 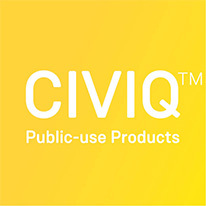 There is a range of display area backing materials available. 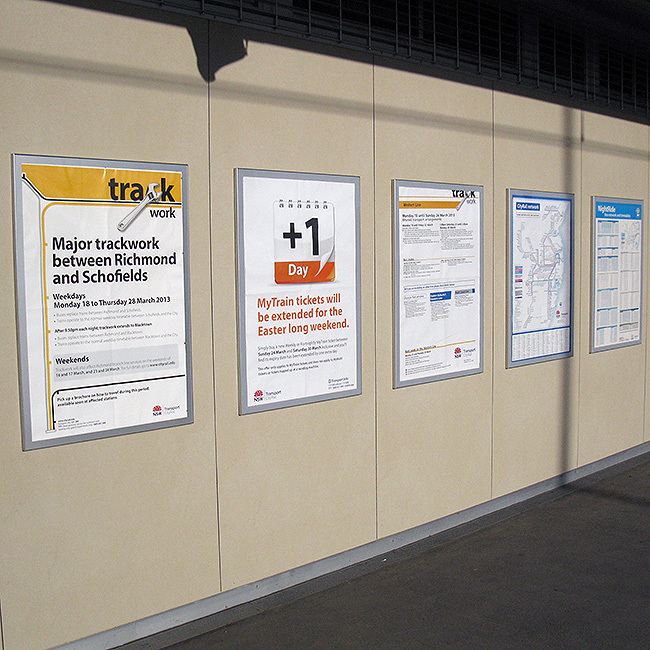 The Flat Timetable Route Information Display Cases have been designed and manufactured to cope with nature’s extremes and withstand vandalism.